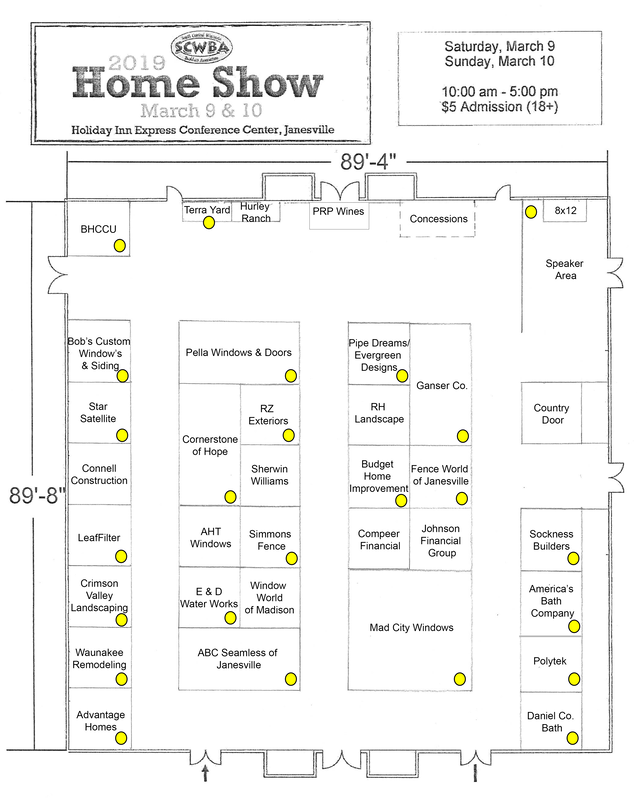 Each spring, SCWBA holds our annual Home Show. Our main goal is to showcase current trends in the building industry and give consumers a chance to meet with potential contractors face to face. Our show is also comprised of other businesses that are important to a building or remodeling project such as subcontractors, banks, etc. See important information regarding our 2019 Home Show below. Thank you to our 2019 Home Show sponsors! Click on our sponsor's logos to visit their websites! *You can purchase tickets on the day of the event. Register HERE by filling out an online application. You will have the option to pay by check or credit card at checkout. We would like to thank our 2019 Education Stage Sponsor, Wisconsin Building Supply! Seminars will take place BOTH Saturday & Sunday!! Get a glimpse into how Johnson Financial Group helps clients affordably finance their home projects, including existing home renovations and new construction financing. Limited inventory continues to concern consumers who are seeking to buy or even sell a home. In this session, Kevin and Renee Clark will share strategies and tactics on how to navigate through this exciting, but often challenging market. A beautiful landscape can be a valuable setting for a home or business and allow for the integration of both inside and outside spaces. We'll discuss some tips for maximizing the ornamental and functional appeal of the landscape. What to look for in your policy. In this session, we're going to go over a sample declarations page and show what information is important to understand. Whether you're building new or remodeling your existing home, you won't want to miss this list! You'll gain fresh, new ideas for your home project and also learn about the tried and true decisions that you can make to be sure you're getting the most out of your home. Learn how to transform your yard into a peaceful and calming oasis just by adding a simple DIY water feature. We will provide you with step-by-step installation instructions as well as discuss ideas for choosing the best location. Learn how Blackhawk, as a Credit Union, is able to offer substantial savings and differences on our programs, rates, fees and service to our partners and members!